The perfect treat to celebrate your love. 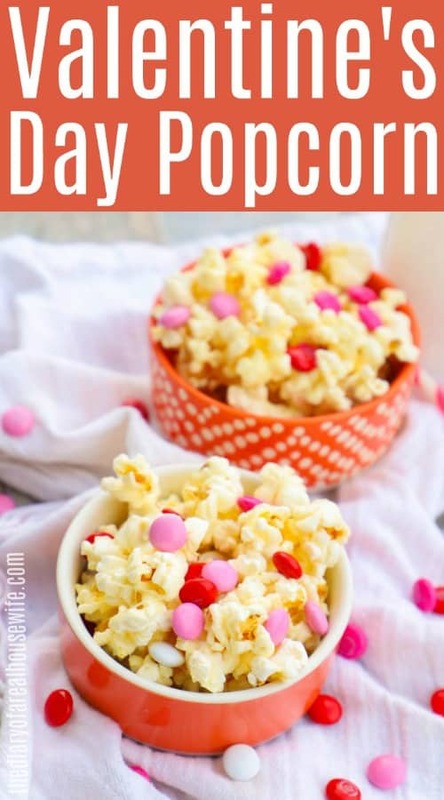 This Valentine’s Day Popcorn is my kid’s favorite treat! It’s so easy to make and the perfect treat for a family movie night this time of year. Love is in the air and so it the smell of warm popcorn. I know a lot of people hate Valentine’s Day but I love it. I love anything that gives me a theme or an excuse to eat way more chocolate then I should. I love celebrating with my kids and making them treats and telling them all the ways I love them. 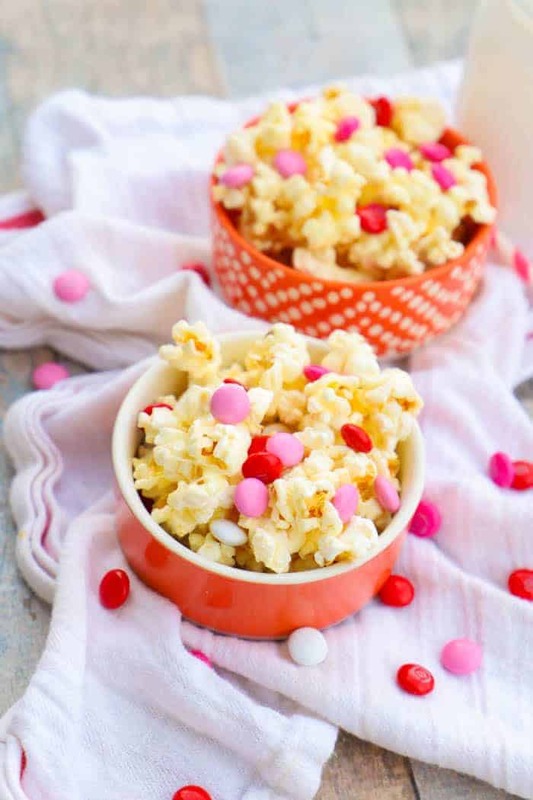 One of our favorites is this Valentine’s Day Popcorn. It’s so simple to make and the perfect salty and sweet treat! One: Start by preparing a baking sheet with parchment paper and set aside. You will want to use this to lay your popcorn on and allow it to dry. Two: Pop your popcorn and then place popped popcorn in a large mixing bowl. Three: In a saucepan melt butter. Once melted add in mini marshmallows and melt making sure to stir constantly. Once melted pour over popcorn and gently mix. Four: Once your popcorn is coated add it to your prepared baking sheet and add in M&Ms. Allow to cool then break popcorn into pieces and enjoy. Want even more recipes that are perfect for valentines day? Sprinkle Cookies: These cookies are the best! They are simple to make and loaded with colorful sprinkles. You can switch out the color of your sprinkles to make them perfect themed cookie for any event. Red Velvet Chocolate Chip Cookie: These cookies are my husbands favorite. He loved red velvet and I love baking these for him every Valentine’s Day! 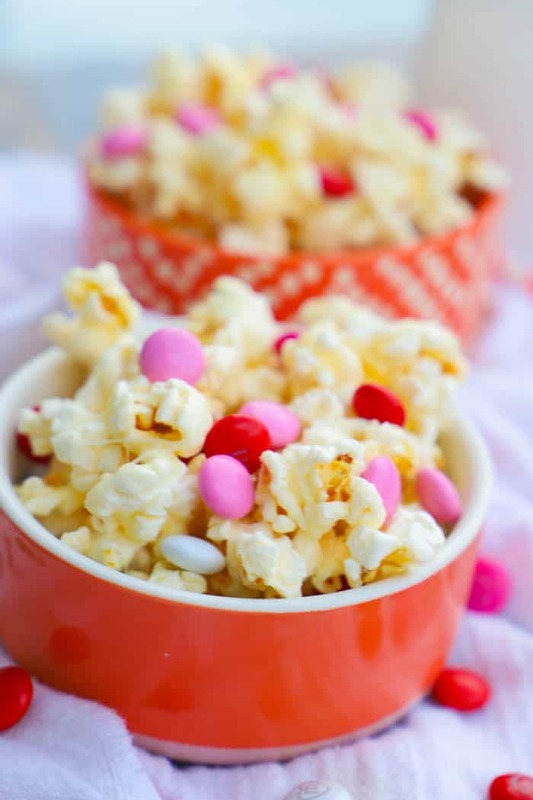 White Chocolate Valentine’s Day Popcorn: This recipe is made with popcorn also but I melted white chocolate and topped it with conversation hearts. Place popped popcorn in a large mixing bowl. In a saucepan melt butter. Once melted add in mini marshmallows and melt making sure to stir constantly. Once melted pour over popcorn and gently mix. Once your popcorn is coated add it to your prepared baking sheet and add in M&Ms. Allow to cool then break popcorn into pieces and enjoy.